Are you looking for some reasonably priced reusable cloth pads? Then these ones from Ma Petite Chou should be at the top of your list. Read our buying guide packed with information to help you decide if they’re right for you. 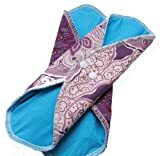 It can be quite difficult to find these reusable cloth pads in stores, especially outside the UK. That’s why we recommend shopping online. Disposable pads, and tampons often contain trace amounts of toxic chemicals in them. Just say no by making the switch to reusable pads. Cloth pads cost a bit more money up-front, but you’ll recoup your costs in just a few months. After that? It’s years of savings ahead of you! What about Ma Petite Chou Cloth Pads? Are Ma Petite Chou Cloth Menstrual Pads a buy? They are a top-quality cloth pad that is made in the UK. The main reason you might consider buying them is that they’re more affordable than some of their competitors. Beyond that, they just seem to work. Although they’re not bulky and thick, they absorb quite well and don’t leak. There are lots of excellent reviews for this product over on Amazon and most people seem pretty happy with them. The major downside is that they’re quite difficult to find outside of the UK. For people who don’t live there, we recommend one of these easier to find options: Top 5 Cloth Menstrual Pads. These reusable cloth pads are not that popular, especially outside of the UK. The best place to find them is online. If you’re looking for some reusable cloth pads, these ones from Ma Petite Chou are a good option. They are very well made, actually work (unlike many other cloth pads) and most people that try them really seem to like them. There are, however a few downsides to Ma Petite Chou Cloth Pads. On Amazon, there is only one size available. And, it can be quite difficult to find them outside of the UK. If you’d like the check them out for yourself, you can find them on Amazon. 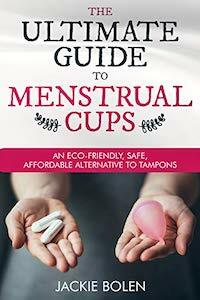 Are you ready to have a more eco-friendly, affordable period experience? What are your thoughts about these cloth pads? Leave a comment below and let us know what you think. Also be sure to give this article a share on Facebook, Twitter, or Pinterest.